WernerCo offers a complete line of products to satisfy a variety of end users. Each product is built to exacting standards of durability and safety to address the needs of professionals and consumers alike. With a wide selection of product categories, WernerCo provides protection and performance for workers, their assets and their vehicles. 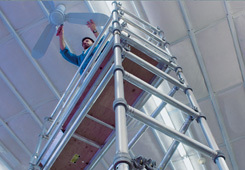 WernerCo knows work can be tough and we are committed to meeting the rigorous demands of our users. 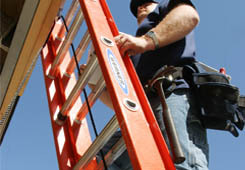 That's why our ladders are designed and built for the professional but used by everybody. 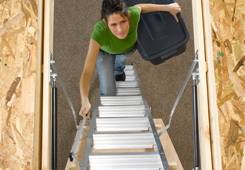 WernerCo offers attic access solutions for any home, available in aluminum or wood and in a complete range of sizes including the new compact attic ladder uniquely designed for tight spaces. 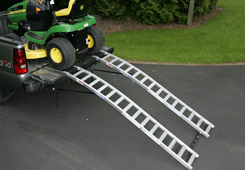 WernerCo's line of truck ramps help you load and haul equipment safely. WernerCo's latest product lines include Truck and Van Storage Equipment designed using the best materials available and the latest technologies which is why professional tradesman trust the safety, security and durability of these products. WernerCo's Fall Protection line includes harnesses, lanyards, self-retracting lifelines, anchors, vertical lifelines, compliance kits and accessories. 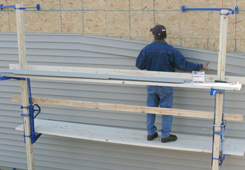 WernerCo offers a complete line of scaffolding, stages and planks that can be purchased as tower systems or sections as well as individual components for construction and building maintenance applications. Offering easy adjustment at multiple heights, WernerCo’s Pump Jack systems and components are available in both steel and aluminum. 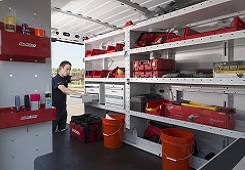 Another addition to the WernerCo lineup includes Jobsite Storage Solutions. Professional contractors depend on these market-leading innovations to keep their tools organized and secure.